It is important to always read and follow the label when giving medicine to your child. 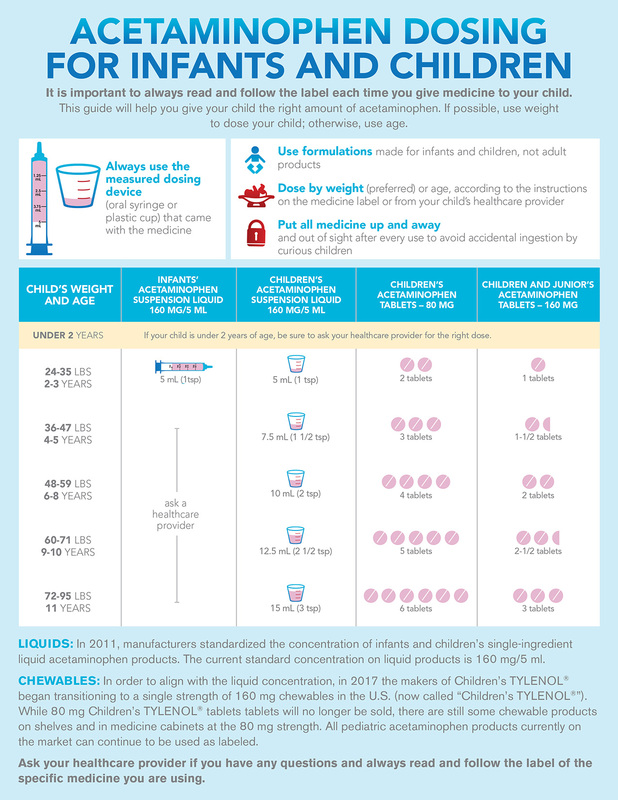 This guide will help you give your child the right amount of acetaminophen. If possible, use weight to dose your child; otherwise, use age. If your child is under 2 years of age, be sure to ask your healthcare provider for the right dose.